•	2 Runs a Day from Denver to Fairplay and your day is done! •	50 - 60 hours per week! Overtime after 40 hours!! •	Start your morning about 5:30 - 6 a.m.(during Winter hours) and park the truck for the day at approximately 4 -5 p.m.
Pay: Earn up to $21.00/hr and $31.50 for all hrs after 40! Company Name D.G. 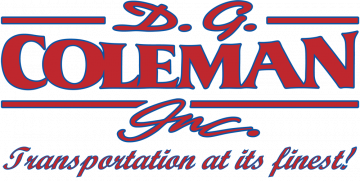 Coleman, Inc.
What does the job pay? Earn up to $21.00/hr and $31.50 for all hrs after 40!